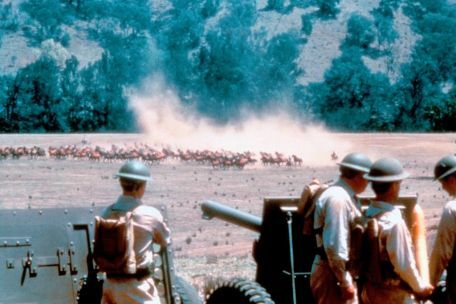 This is a cavalry movie but an unusual one, in the sense that it is set in the 1930s and deals with the death of the cavalry as the army moved from horses to more mechanized forms of equipment. As it did so, the move affected cavalry veterans who had spent their careers (and perhaps lives) in partnership with horses. This is one of those films “based on a true story,” which usually means there’s a strong element of fiction to it. Here, it’s almost all fictional. Some of these cavalry veterans are part of the unit under the command of Major John Hardesty (Bob Gunton), given the responsibility in 1932 to deal with Hoover’s Bonus Marchers in Washington, D.C. Many of these marchers were veterans of World War I, who had set up an encampment for the homeless to draw attention to their plight in the midst of the Great Depression. Under orders from Army Chief of Staff Douglas MacArthur (James Sikking), Hardesty’s cavalry approaches them with drawn sabers to sweep them from the encampment. [This part about using cavalry against the Bonus Marchers at MacArthur’s orders is factual.] Several long-time cavalrymen, including Sgt. John Libbey (Don Johnson) and Sgt. 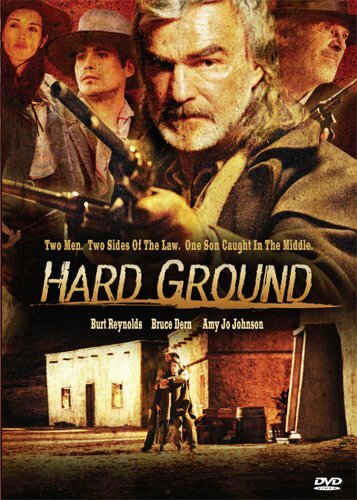 Thomas Mulcahey (John Dennis Johnston) return to their barracks rather than participate in such an action against their fellow veterans, and are thereafter exiled to a remote Texas base. 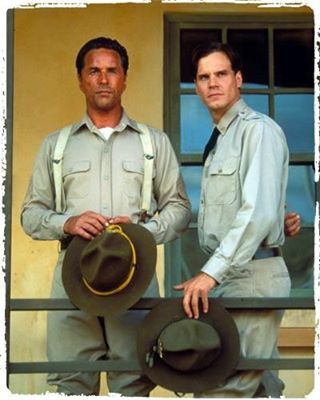 Top Sergeant John Libbey (Don Johnson) and Lt. Marshall Buxton (Craig Sheffer). Cut to two years later in Texas, where young Jessica Stuart (Gabrielle Anwar), on her way to the army base commanded by her father, Col. Owen Stuart, almost drives over a young man in the middle of a sandstorm. 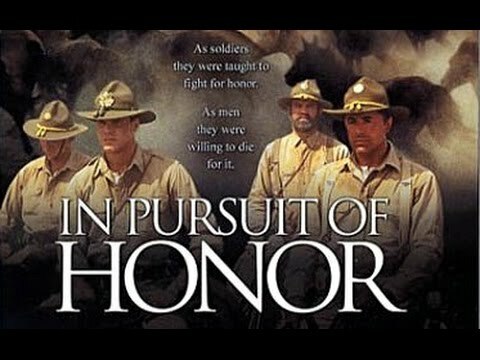 He turns out to be Lt. Marshall Buxton (Craig Sheffer), a West Point graduate and son of a former cavalry general, who is in disgrace for punching a superior officer who was mistreating a horse. Stuart is retiring to Tucson, Arizona, and is being replaced by now-Col. Hardesty. Hardesty has orders from MacArthur to modernize the unit, which involves getting rid of 500 cavalry mounts. Specifically, Lt. Buxton is in charge of the men ordered to drive the horses into northern Mexico, where machine gun emplacements and riflemen are set up to slaughter the horses. After the first hundred horses are driven into a pit and gunned down, Buxton rebels. Supported by Libbey, Mulcahey and two other long-time cavalry sergeants, they disobey orders and drive the horses north into Arizona–stealing them, in effect, as well as disobeying orders. Buxton rides to Tucson, where he gets maps and support from the Stuarts. Jessica Stuart is a reporter, but no U.S. newspaper will tell the story of this incident. She uses her contacts with a British publication to get the story out. Col. Stuart, now retired, goes to Washington to try to get MacArthur to change his orders. Sgt. Mulcahey (John Dennis Johnston) makes a break for it. The cavalrymen take their herd of the remaining 400 horses northward into the White Mountains to try to figure out what to do with them. Their half-baked plan is to take them to Montana onto Indian lands near the Canadian border, where the army can’t go. Meanwhile, Hardesty pursues with two units: a mechanized column that has to stick to actual roads, and a horse-mounted unit that Buxton and his group have to keep avoiding. Stuart hasn’t much luck even getting to see MacArthur. He is mostly shown working with a map that delineates the progress of the horses as they move northward, pursued by Hardesty. Buxton is inexperienced, but he is supported by the sergeants, especially Libbey, often referred to as “top,” as in top sergeant. Although they maintain their military organization, it is clear that everything is done by consent, and they all buy in. Buxton (Craig Sheffer, left) and his sergeants try to figure how to get into Canada. [Spoilers follow.] Finally in Montana, they are accidentally discovered by Hardesty’s cavalry. That unit has orders to shoot to kill, and Mulcahey gets a bullet in the back as he tries to escape. The sergeant of the cavalry unit stops them to bury Mulcahey with full field honors, to the consternation of the officer who had shot him. It becomes obvious the fleeing horses won’t make it to Indian land without being cut off, and Buxton and his herd head for Canada instead. At the border they encounter (a) the pursuing cavalry with artillery, with their orders to shoot to kill, (b) Hardesty and his mechanized unit, accompanied by Jessica Stuart, and (c) a unit of Canadian Mounties facing them across the border. As they make a final sprint for the border, the cavalry unit arranges artillery to fire at them, but the sergeant makes sure the artillery fires high and wide. Hardesty divulges that he has tried to get MacArthur to change his orders, to no effect. He receives word that Pres. Franklin Roosevelt has pardoned Buxton and his men. 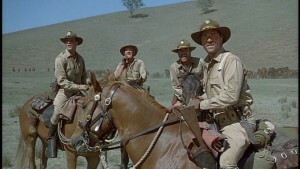 As Buxton and his remaining sergeants cross the border, the Mounties seem to accept them. Libbey goes on the the Klondike, and Buxton says he’s going back to face court martial, and perhaps Jessica Stuart. Craig Sheffer (A River Runs Through It, The Desperate Trail) is decent as Lt. Buxton, but the performance that makes this work is Don Johnson as Sgt. John Libbey, hard-bitten, flinty, tough and motivated by his notions of military and personal honor. John Dennis Johnston is very good as Sgt. Mulcahey as well. Bob Gunton makes Col. Hardesty seem like an officious military bureaucrat with no heart, until the very end. Rod Steiger’s Col. Owen Stuart has an unexplained faux-Irish accent, and Gabrielle Anwer seems too young for the independent reporter she’s supposed to be. She is not yet the actress she will become later in her career. Douglas MacArthur and the order-following leader of the pursuing cavalry are the villains, to the extent there are villains. Artillery sets up to blast the horses as they near the Canadian border. This is better than one would expect, but it’s not perfect. The pursuit from the White Mountains of Arizona to Montana seems like it takes place in one day, although it would have taken weeks. The filmmakers needed to find a more effective way to depict the sheer length and effort of such a drive northward. Sheffer’s Buxton sometimes seems confused (as a real young lieutenant would have been) but strangely confident at other times. Still, it’s worth watching, although it raises questions about the factual background. 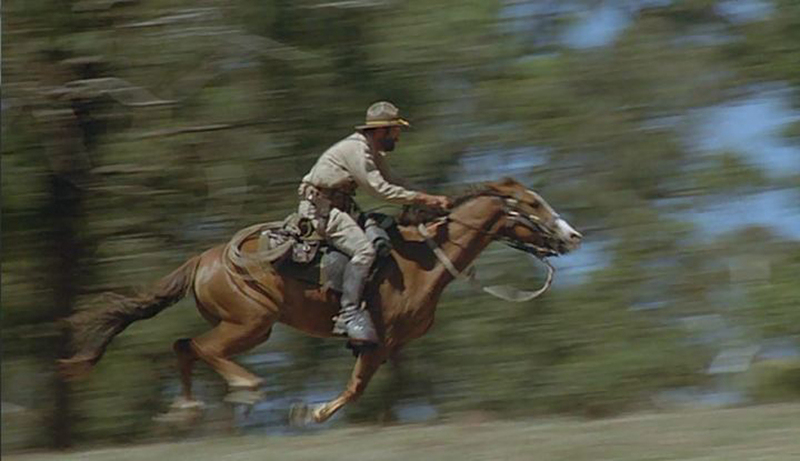 Filmed in color in Australia, at 111 minutes. 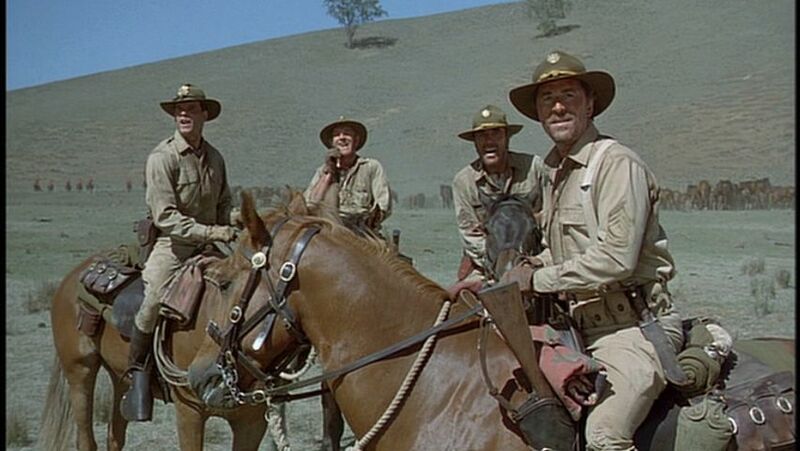 If the names of the sergeants seem familiar, it’s because they often show up in John Ford cavalry movies (Fort Apache, etc.). 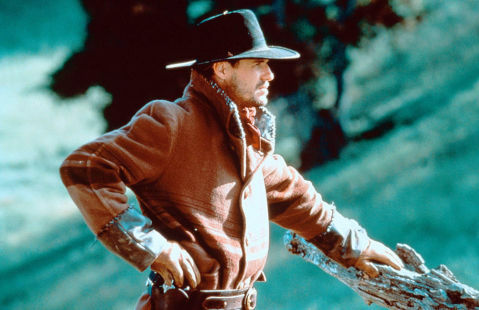 For another western featuring young officers (Jason Patric and Matt Damon) balancing honor against an inflexible military structure, see Walter Hill’s Geronimo: An American Legend (1993). This entry was posted in Westerns Worth Watching and tagged Cattle Drives, Cavalry Westerns, Made for Television on December 3, 2014 by Nicholas Chennault. 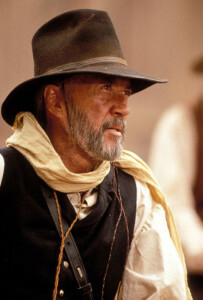 The fact that The Virginian is one of the oldest of western stories reminds us of how recent the history of the west is. Owen Wister’s 1902 novel was the first western bestseller, and it has been made as a movie several times, most recently in 2014. The best one is generally thought to be the 1929 early sound version with Gary Cooper as the Virginian, which can be very difficult to find now, since it has never been made available on DVD. This 2000 made-for-television version is at least the second best on film; it may be the best. Like some of the older western stories that have been remade multiple times from the early days of movies, the story in many of the versions of The Virginian has not aged well. Modern viewers may have trouble understanding the motivations of the characters and sometimes even the dialogue. This effort, directed by its star, Bill Pullman, is a mostly successful attempt to update the characters in terms of making them intelligible to modern viewers while retaining the flavor of a bygone era in the dialogue and interactions of the characters. It is one of the classic western tales: an easterner goes west, leaves civilization and must learn new ways. 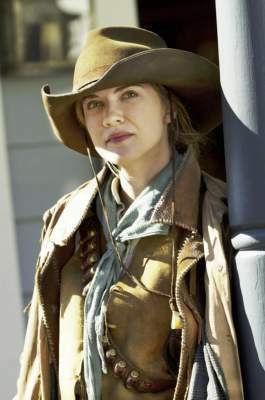 In this case, the easterner is schoolmarm Molly Stark (Diane Lane) from Bennington, Vermont, who comes to Medicine Bow in Wyoming Territory in 1885. 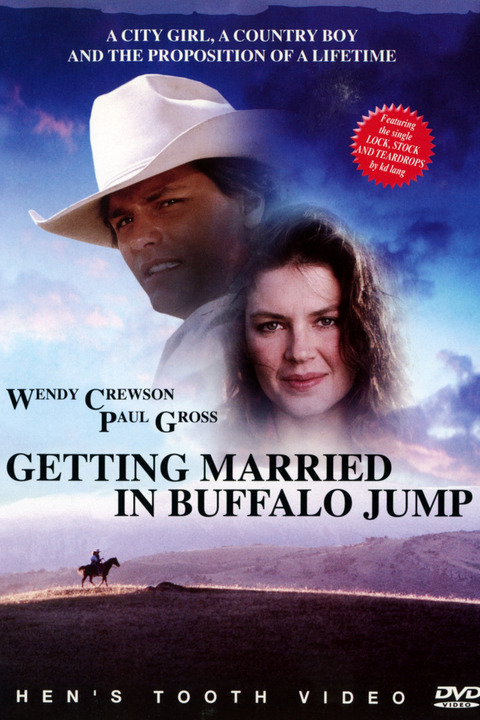 Arriving in Medicine Bow, Molly is taken to the remote ranch of Judge Henry (Harris Yulin in long hair). 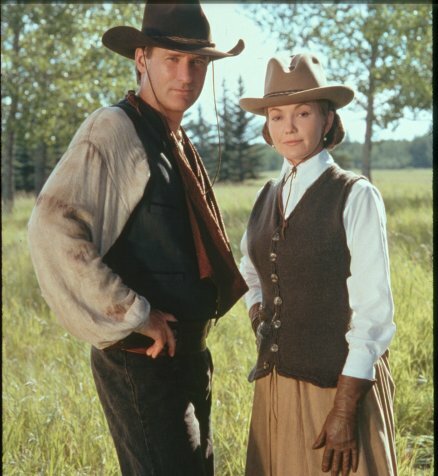 When the wagon she’s riding in has problems, she’s rescued by the Virginian (Bill Pullman), one of Judge Henry’s riders. He appears to be taken with her and is more direct about his interest than a well-brought-up easterner would be. 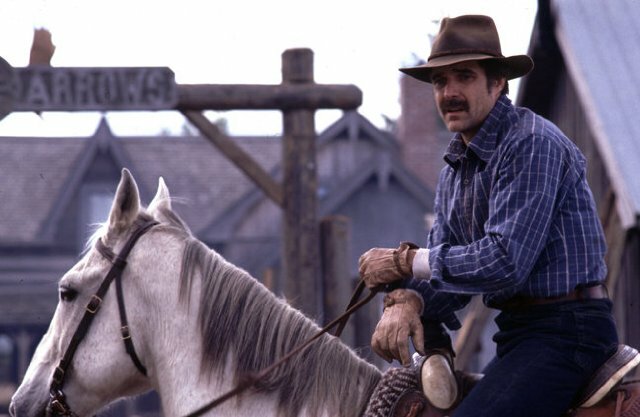 Judge Henry and other ranchers are having trouble with rustlers who seem to have some connection with rancher Sam Balaam (Dennis Weaver). 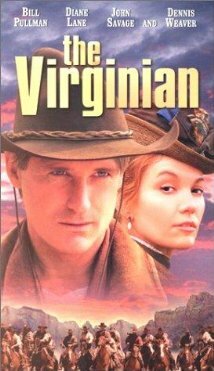 When the Judge promotes the Virginian to be his foreman, Trampas (Colm Feore) quits rather than work for the Virginian, and the Virginian’s good friend Steve (John Savage) unexpectedly leaves as well. While rounding up horses, the badly outnumbered Virginian has to shoot it out with several rustlers and is gravely wounded. He lies bleeding on the ground, where Molly eventually finds him by following his horse Monty, and she nurses him back to health. They grow closer in the process. 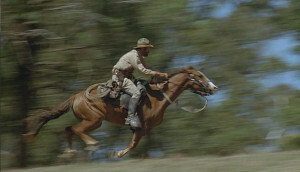 As soon as the Virginian can ride, he is called upon to lead a band of riders against the rustlers. They capture two of them, one of whom is the Virginian’s friend Steve and, according to the code of their time and place, must hang the two. Molly is horrified to learn of the Virginian’s role in this, but they talk it out and continue with their plans to marry. 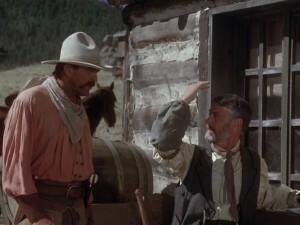 On the day of the wedding, a rider (James Drury, who played the Virginian in the 1960s television series) delivers a message that Trampas has killed two federal officers who were trying to deal with the rustlers and is now waiting for the Virginian in the Medicine Bow saloon. 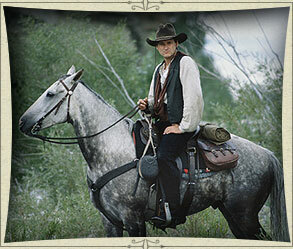 Molly insists that the Virginian not go, but a man’s gotta do … well, you know. As later stories would put it (John Wayne in Stagecoach, Randolph Scott in The Tall T), some things a man can’t ride around. Bill Pullman is good with the Virginian’s little hesitances in speech and old-fashioned dialogue. 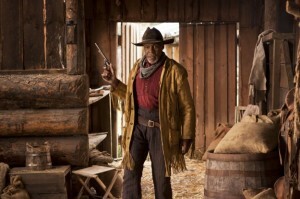 Unlike other versions of the story, he is not already Judge Henry’s foreman, previously having come to be held in high regard, and his experiences with a gun are limited. Diane Lane is decent, if occasionally a little stiff, as Molly Stark; but she’s better than the wooden Barbara Britton, who played Molly in the 1946 version with Joel McCrea. Colm Feore makes a little more intelligible Trampas’ antipathy for the Virginian. Partly it’s pride and personal dislike of the Virginian, and partly it’s goading from Sam Balaam. John Savage is not as warm and friendly as Steve is usually portrayed. Harris Yulin is remote and not terribly avuncular as Judge Henry. 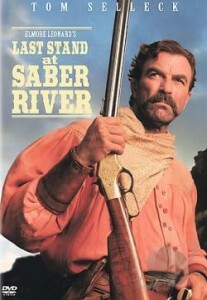 Dennis Weaver does well as the weaselly Sam Balaam. 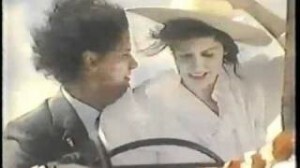 The production design is good, particularly Molly Stark’s riding hat. While the film does not always flow entirely smoothly, there are a lot of good small touches, too. The saloon in Medicine Bow has a bobcat and a peregrine falcon as live parts of the decor. As the Virginian strides toward the saloon with his life in turmoil, his future in doubt and his relationship with Molly perhaps gone forever, he nevertheless notes Balaam’s men with rifles on the roofs of surrounding buildings. When he gets closer, he thinks he sees Steve around one corner nod and smile in approval for what he’s doing, although he knows Steve is dead. The use of the Battle Hymn of the Republic as the device for timing the draw works well. 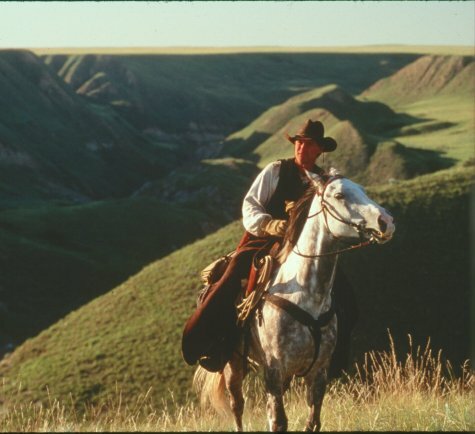 As has become common for westerns over the last couple of decades, this was filmed in Alberta, with good cinematography and frequent shots from above, giving a flavor of the remoteness and wildness of the land. Since Molly Stark’s school house and cabin are remote even from from Judge Henry’s ranch, it’s surprising that she might not have found herself to be in danger in such a wild and lawless country. 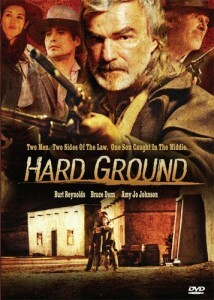 In all, this is worth watching, a worthy update of a western story that some might consider old-fashioned. It even has a high degree of re-watchability. Perhaps we can hope for equally worthy updates of Whispering Smith or The Spoilers. In color, at 95 minutes. After dealing with Trampas, the Virginian (Bill Pullman) negotiates with Sam Balaam (Dennis Weaver). 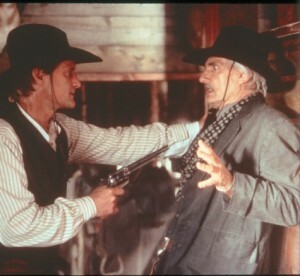 For Bill Pullman in another western, he has a brief role as Ed Masterson (Bat’s brother) in Wyatt Earp. Diane Lane, of course, had a prominent role in Lonesome Dove. 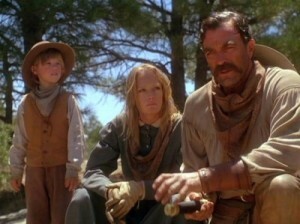 Gary Farmer, who plays the heavy cowboy Buster, was Johnny Depp’s Indian guide Nobody in Dead Man. 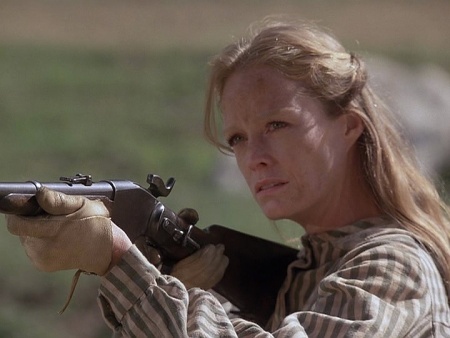 For another decent TNT production of an older western story, see Ed Harris and Amy Madigan in Zane Grey’s story Riders of the Purple Sage. This entry was posted in Westerns Worth Watching and tagged Made for Television, Outlaw Gangs, The Mysterious Stranger on November 10, 2014 by Nicholas Chennault. Probably an interesting movie could be made about Charlie Siringo, but this isn’t it. The contents of this short, made-for-television piece are completely fictional. The real Charlie Siringo was not part Kiowa, as this would have it (his father was Italian and his mother Irish, both immigrants). He spent most of his career as a Pinkerton agent, not an actual lawman, and he was not exceptionally sympathetic to Indians. 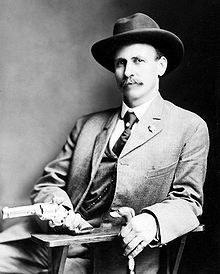 Much of his time was spent undercover working against labor (as in Coeur D’Alene, Idaho, in the 1890s) or in unsuccessfully chasing Butch Cassidy. He became known principally because he wrote a memoir describing his adventures. 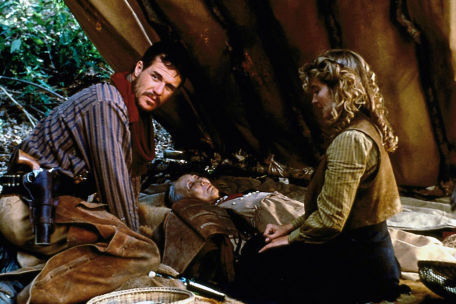 Siringo (Brad Johnson) and Kaitlin Mullane (Crystal Bernard) nurse an old Indian. 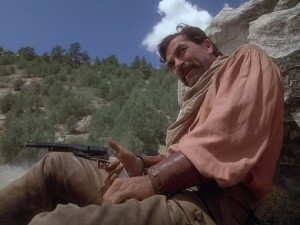 In this slight effort, Siringo (Brad Johnson) lives in Arizona at the San Carlos Apache reservation. After capturing Texas bad guy Wade Lewis (Steven Macht) who was selling guns to Indians and assassinating their leaders, Siringo is put on leave while he recovers from a leg wound. Lewis escapes while being shipped to the Yuma prison, and Siringo is sent north after him, accompanied by talkative young deputy U.S. marshal Winton Powell (Chad Lowe). In Wyoming they find Kaitlin Mullane (Crystal Bernard), a former girlfriend of one of Lewis’s fellow escapees. Kaitlin has used the proceeds of a long-ago robbery to start a ranch there and go straight. Meanwhile, Siringo befriends an aging Sioux couple with health problems. 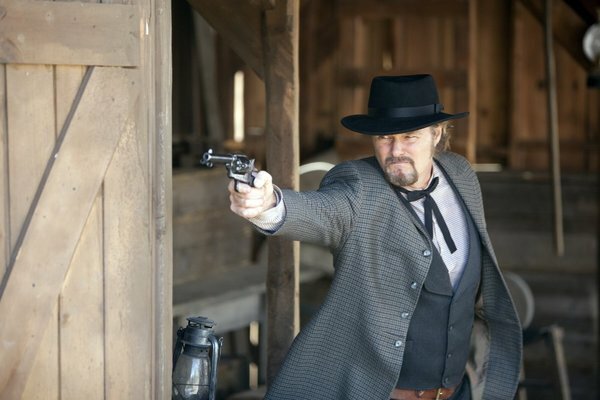 When the outlaws and their gang arrive, the young deputy marshal is killed and Siringo almost is as well. 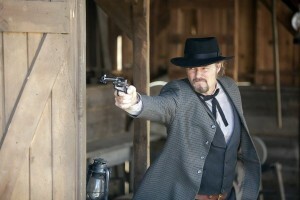 Brad Johnson as Charlie Siringo; and the real Charlie Siringo, Pinkerton operative. Nursed back to health by the Sioux, he finds and attacks the outlaws Indian-style (bow and flaming arrows, stealth). 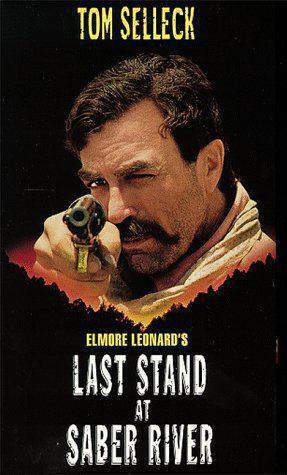 In the final shoot-out Kaitlin is killed, and Siringo hauls the despicable Lewis back to Arizona instead of killing him as he really wants to, thus establishing himself as a real lawman. If it wants us to care what’s going on, this needs to do a better job of developing story and characters, especially Siringo. Short, at 90 minutes. 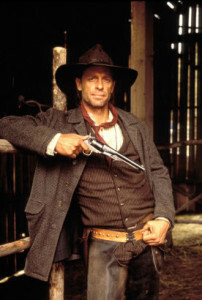 For Brad Johnson in another western, see him as bad guy and assassin Beau Dorn in Crossfire Trail (2001), trying to get Tom Selleck. This entry was posted in More Westerns and tagged Made for Television, Manhunts, Native Americans (Indians), Outlaw Gangs, Selling Guns to the Indians on November 5, 2014 by Nicholas Chennault. 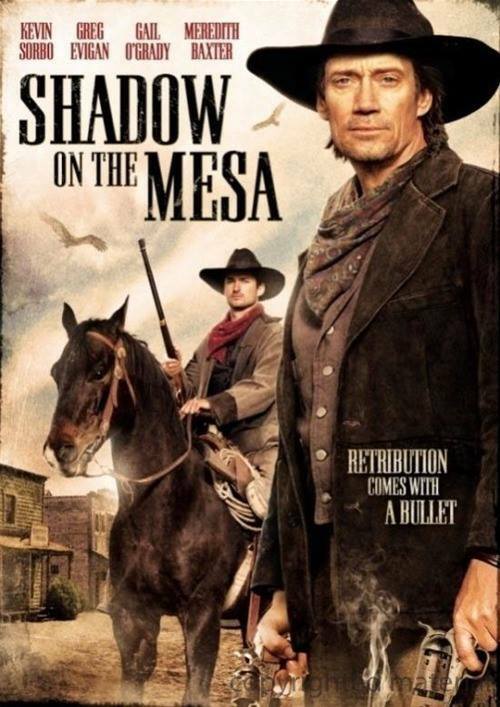 Conspiracies and counterplots among the polygamous Mormons of Utah in 1872 drive this made-for-television (TNT) account of Mormon assassin/bodyguard/security agent Miles Utley (Tom Berenger). Historical figures such as Brigham Young, Porter Rockwell and Bill Hickman are mixed with fictional ones like Utley in an environment that has some historicity but was probably not as overheated as depicted here. Young Miles Utley is headed west with the Mormons in 1847 when his father dies. 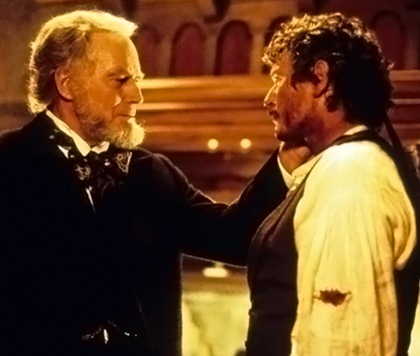 Brigham Young (Charlton Heston, playing the American Moses) assigns Bill Hickman (Tom Bower) to care for young Utley and raise him. Hickman and Utley are shown as members of the Mormon militia that slowed down Albert Johnston’s army invading Utah in 1857. Fast forward to 1872: By this time Utley is a kind of security agent for the Church, reporting to Milton Long (Jeffrey Jones), its head of security. He is shown dispatching dissident Jonathan Parker with a bowie knife to the throat, so he is not exactly a good guy. He is also shown frolicking with Young’s daughter Miranda (Fay Masterson), so we know he takes political/spiritual chances, too. 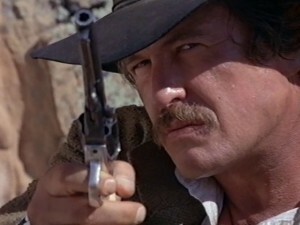 Miles Utley (Tom Berenger) takes aim. Not all his enemies are obvious. Long assigns Utley to shadow a couple of suspicious newcomers in Salt Lake City, and he follows them to the Assembly Hall on Temple Square. 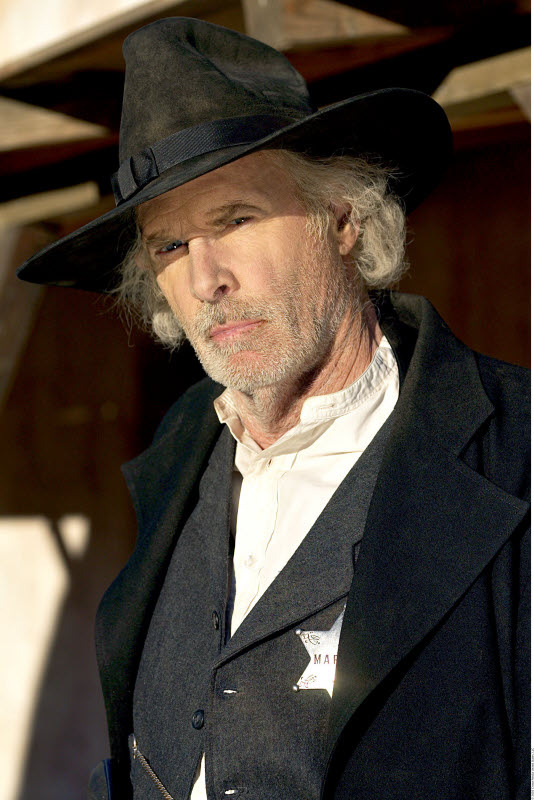 Elder Benjamin Rigby (Kevin Tighe, playing a fictional character) preaches fire and brimstone against outsiders. Brigham Young arises to espouse more restraint and less violence against non-Mormons. As he does so, a hooded figure approaches him and pulls a derringer; Utley intervenes and shoots the supposed assassin first and is himself attacked and rendered unconscious. When he starts asking questions about the person he shot, he is again hit (he should be suffering from multiple concussions by now). He awakens on the shores of the Great Salt Lake. Apparently his assailants intended that he should drown, but he floated in the salty waters. He is retrieved by Eliza Rigby (Leslie Hope), who doctors his wounds. She is an estranged polygamous wife of Elder Rigby, who she says was more interested in her sister Sarah. As Utley heals, the two develop an interest in each other. He is about to leave when Rigby himself shows up, with Alpheus Young (Daniel Quinn), Brigham’s son. Young leaves and Rigby is heard hitting Eliza, with Utley restrained by the pleading of her young daughters. Utley (Tom Berenger) finds Porter Rockwell (a hairy James Coburn) in the canyons of southern Utah. Still investigating the deceased assassin, Utley finds apparent grave robbers digging up her body. Yes, it was a woman—Eliza Rigby’s sister Sarah, a disaffected former Mormon. Put in jail, Utley is sprung by his boss Milton Long; both Long and Miranda Young smuggle him guns. He warily heads south, looking for his long-time friend and mentor Porter Rockwell (James Coburn, with long hair and beard wigs). He visits his sister’s family (with daughters played by two Berenger girls). As Utley departs, he is attacked by and forced to kill Alpheus Young. 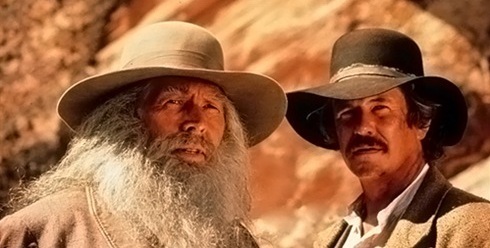 He stops to see his disaffected, alcoholic foster father Bill Hickman in Kanab and is given Jonathan Parker’s diary before heading into wild country. As he leaves, he is attacked again, and joined by Miranda Young, who is wounded. 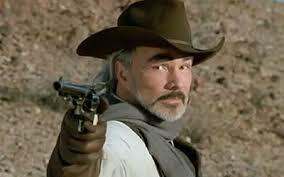 He fights the attackers off and sends Miranda back with their remnants. He reads Parker’s diary and finds that he was simply an honest dissident and was doing nothing for which he deserved killing. Utley and Rockwell join forces to fight a conspiracy led by Elder Rigby to take over the Church and Utah. Brigham Young is reported to have headed to his winter home in St. George, threatened by the conspirators. Rockwell creates a diversion without killing any of Young’s faithful bodyguards and Utley enters the house, to find that Milton Long is part of the conspiracy and he is now captured. 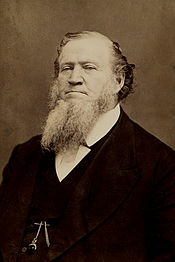 Brigham Young slips him a gun, which he uses to take out Long. He heads back to Salt Lake, to the Assembly Hall, where he finds an unhinged Rigby speaking to an imaginary audience, now that his conspiracy has fallen apart. Eliza persuades Utley not to kill Rigby, and he hangs up his guns. Brigham Young (Charlton Heston) is about to slip Miles Utley (Tom Berenger) yet another gun. The title refers to the Danites, a supposedly historical group of thugs and assassins who did the Church’s dirty work, of which Utley is supposed to be one. To the extent they were real, they existed principally in the 1830s; by 1872, they were long gone. 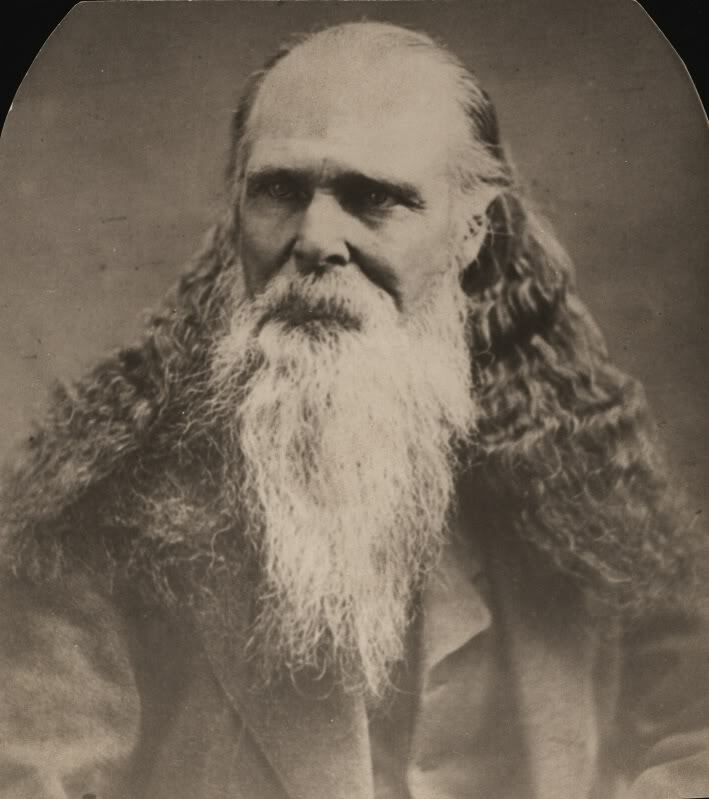 Porter Rockwell was the most prominent of those said to have been Danites, and he was an actual lawman and frontiersman well into the Utah period, dying about the same time as Brigham Young in 1877. Elements of the cast are very good. Berenger is sympathetic as Miles Utley, although he sometimes seems confused in his religious environment. His character could have used a bit more subtlety in the writing of his motivations. He made this between appearing as Gen. James Longstreet in Gettysburg and as Lewis Gates in Last of the Dogmen. His production company played a role in getting this made. 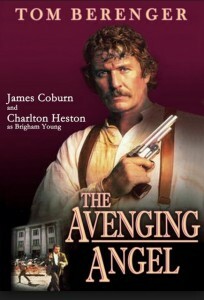 Aging actors Heston and Coburn are fine in their roles. The casting of Jeffrey Jones and especially Kevin Tighe telegraphs that their characters are not to be trusted, however. The female parts are not strongly written. The sometimes autocratic Brigham Young, ca. 1870, about 69 years old; and the aging Mormon lawman and frontiersman Orrin Porter Rockwell. 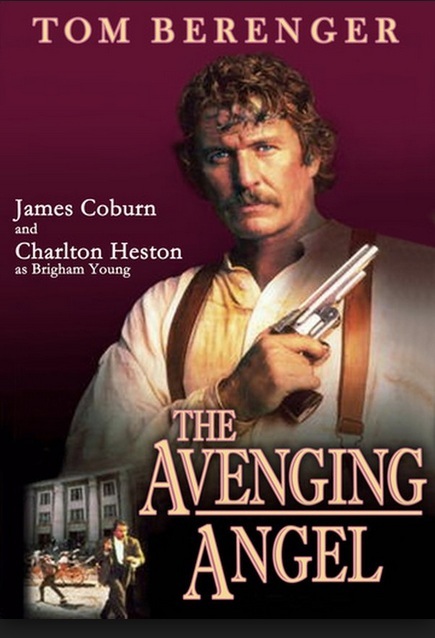 The polygamous Mormon church, with its secrets and undercurrents under Brigham Young and his successors, would make a fertile environment for mysteries and action films for a generation after the time depicted here, until the church gave up the practice in the early 20th century. 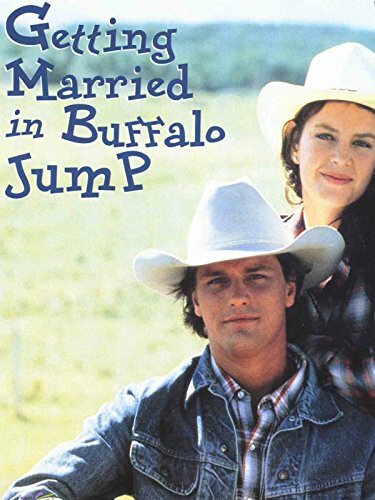 This is based on a novel by Gary Stewart, who apparently has a Mormon background, and, while enjoyable enough, it’s not particularly memorable. Mormons may enjoy watching it for what strikes them as historical and what seems misplaced. It was written by somebody who likes guns; when Utley is smuggled guns in jail, they are described in loving detail (a Smith & Wesson .44, said to be just like Jesse James used; a .36, said to be light but effective) as they are slipped to him. The screenplay won the Western Writers of America 1996 Spur Award for Best Drama Script (Dennis Nemec). 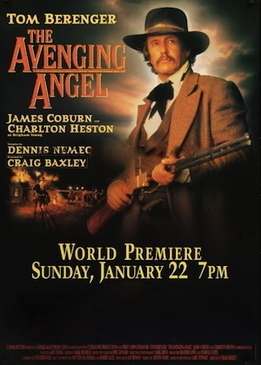 Not to be confused with another made-for-television western, Avenging Angel, with Kevin Sorbo (2007). For another western featuring Brigham Young, see Dean Jagger in 1940’s Brigham Young, with Tyrone Power and Linda Darnell. For historical background on Young, see Brigham Young, American Moses, by Leonard Arrington (1985) or John Turner’s Brigham Young: Pioneer Prophet (2013). The definitive biography of Porter Rockwell, an authentic western character, is probably still Harold Schindler’s Orrin Porter Rockwell, Man of God, Son of Thunder (first edition, 1966; go with the revised edition, which is easier to find). This entry was posted in Westerns Worth Watching and tagged Brigham Young, Charlton Heston, Made for Television, Mormons, Tom Berenger, Westerns and Relgion on October 3, 2014 by Nicholas Chennault. 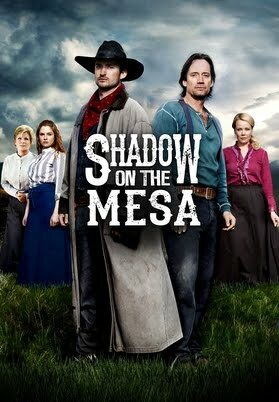 Better than most of the lower-profile and made-for-television western productions in the last twenty years or so. The title doesn’t tell you much about this western. It’s set in the ranch lands of western Canada of the 1920s. It’s still frontier, to a significant degree, and the financial times are hard. Wilbur Bennett (Richard Donat) owns the Four Arrows ranch and is suffering health and financial problems. With his dying request, he sends his foreman Royal Leckner (Henry Czerny) to Chicago to collect his long-neglected and presumably mentally-impaired 15-year-old son Leviatus (Shawn Ashmore) from a sanitarium, where he has been since birth. There Leckner finds the young man surviving under deplorable conditions, with Sophie Twelvetrees (Gloria May Eshkibok), an Objibway woman who is also a patient, as his only protector. The three of them ride in a cattle car back to Canada. Meanwhile Jane Makepeace (Colette Stevenson), a prim young Englishwoman who has been serving as a secretary to unscrupulous banker Sir Robert Butler (David Fox), declines his advances and has to find another situation for herself. Desperate, she takes her accounting and business skills to the Four Arrow ranch, where she hopes to make herself necessary and maybe even get paid by helping them put their business affairs in order. She also becomes the intermediary for Sophie and Levi to Leckner and the rest of the world. The remainder of the movie centers around whether Jane will be allowed to stay, whether Levi will ever become functional and whether Leckner will succeed in keeping the ranch afloat financially and out of the clutches of the nasty banker. Also on the fringes is Wilbur’s brother James Bennett (Aidan Devine) who feels aggrieved by the very existence of young Levi and is nefariously helping nasty banker Butler behind the scenes. It turns out Levi is deaf, not mentally deficient. Leckner, Levi, Makepeace and associated ranchers make a cattle drive to Pendleton to produce the money they need to keep the bank and Butler at bay. The ending is much as you’d expect, but with an interesting shootout in a hospital. The story has something of a Hallmark feel about it, since it’s about the formation of a family by a group of unrelated strangers and has an interesting and, to some extent, unexpected (by everyone except the viewers, who are thinking “Why else would we be watching this?”) romance at its core. But it plays out well, and the central performances by Czerny and Stevenson make the film better than anticipated. And the pacing, editing and storytelling are good here, too. Based on the book The Four Arrows Fe-As-Ko by Randall Beth Platt. 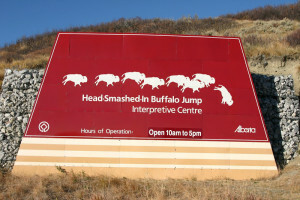 Filmed in Canada. 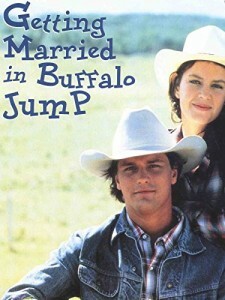 This is an unheralded and underrated Canadian production, somewhat like The Grey Fox and Gunless in that respect. They’re also worth more attention. This entry was posted in Westerns Worth Watching and tagged Cattle Drives, Made for Television, Northern Westerns on March 8, 2014 by Nicholas Chennault.